This week I wanted to show you a 12 x 12 layout I created a few days ago. I love this picture of my son in his bath robe – he looks just like a miniature Jedi from Star Wars :). 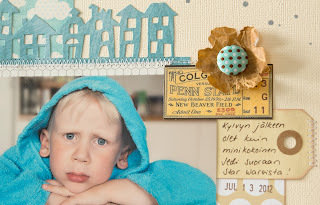 I edited the photo a bit in Photoshop Elements so that the colours would match nicely to my cream, brown and light blue papers. I started with creating the background for my title. I took a piece of blue craft core cardstock, put it in the Dot-Matrix embossing folder and run through Big Shot. Then I grabbed my sanding block and sanded the embossed surface to reveal the craft base colour. Easy! 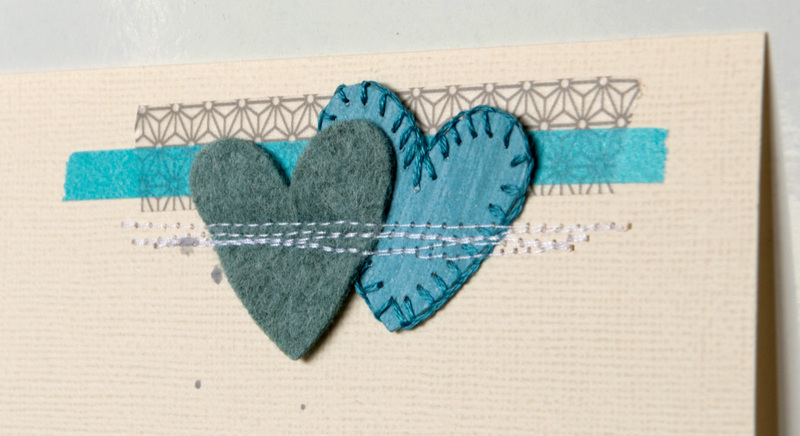 I wanted to embellish this layout with a die-cut paper flower but did not want the look to get too ‘girly’. Kraft glassine paper from Tim Holtz was a perfect choice of material: It is thin like wax paper, cuts easily with Sizzix dies and scissors and when you crumple it you create a nice effect on the surface. 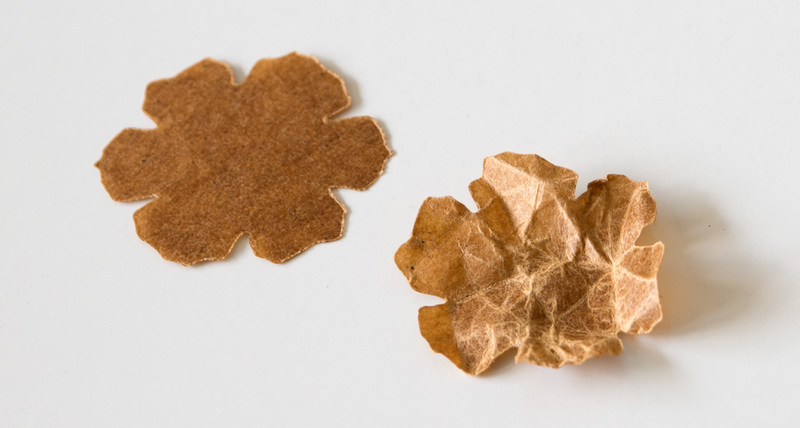 This flower was made in just a few minutes: I cut the flower with Tattered Florals die, crumpled it into a small ball, attached a brad in the middle and the flower embellishment was ready. 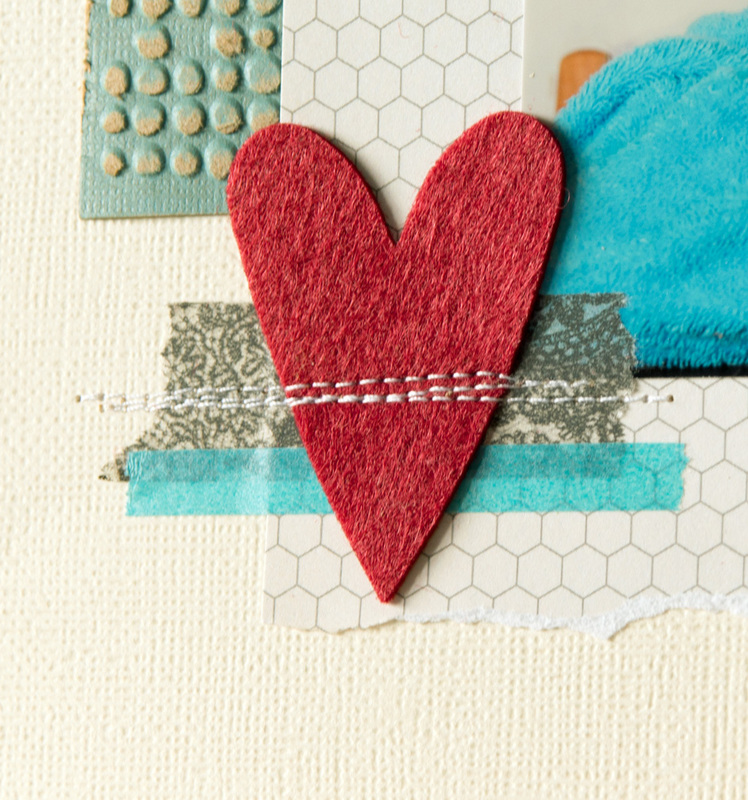 With Sizzix Bigz, Originals, and Movers & Shapers dies you can cut every material you can cut with scissors. I cut two small hearts from felt with Movers & Shapers Mini Hearts and attached them to my layout by simply sewing over them. 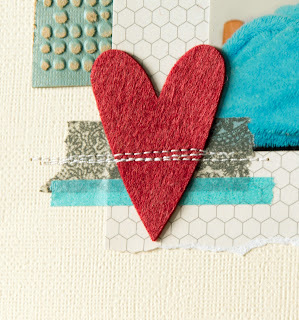 I also cut one mini heart from patterned paper and embellished it with sewing blanket stitches around the edge. If you need help with sewing a blanket stitch make a search in Internet; there are dozens of instruction videos and drawings available. Never throw away your left overs!